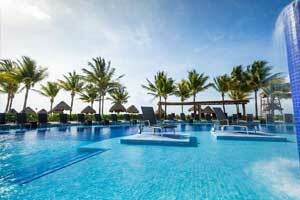 The BlueBay Grand Esmeralda***** is one of the best Playa del Carmen hotels. 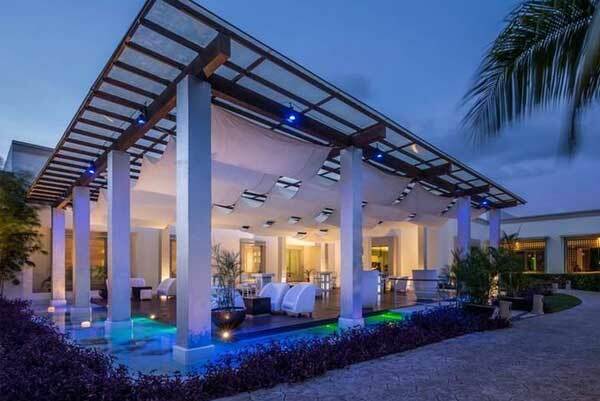 Enjoy a luxury, 5 star experience in the Caribbean surrounded by lush jungle, mangrove swamps and outstanding views of the sea. 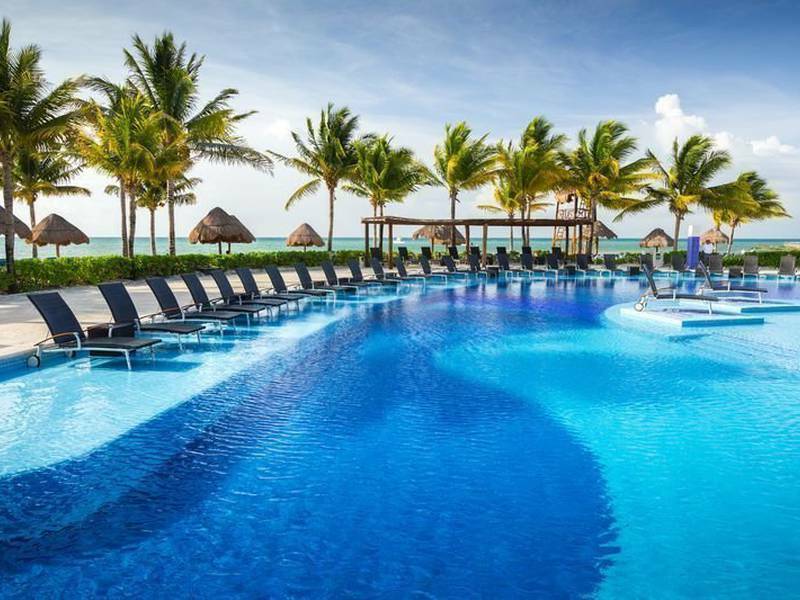 An all-inclusive stay at the BlueBay Grand Esmeralda *****, with our private beach, outstanding food and full spa, really is a stay in paradise. 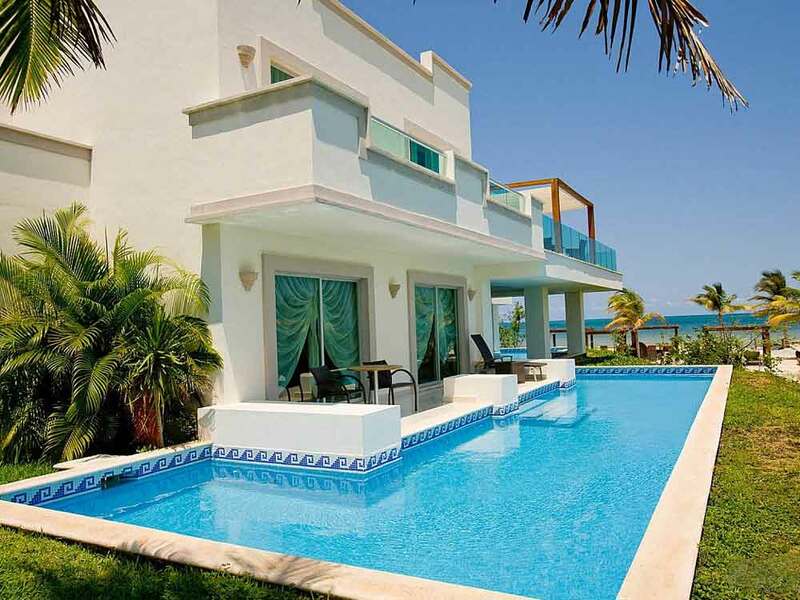 The facilities at the BlueBay Grand Esmeralda Hotel in Playa del Carmen include a full spa, three swimming pools, private beach, golf club and a gym. 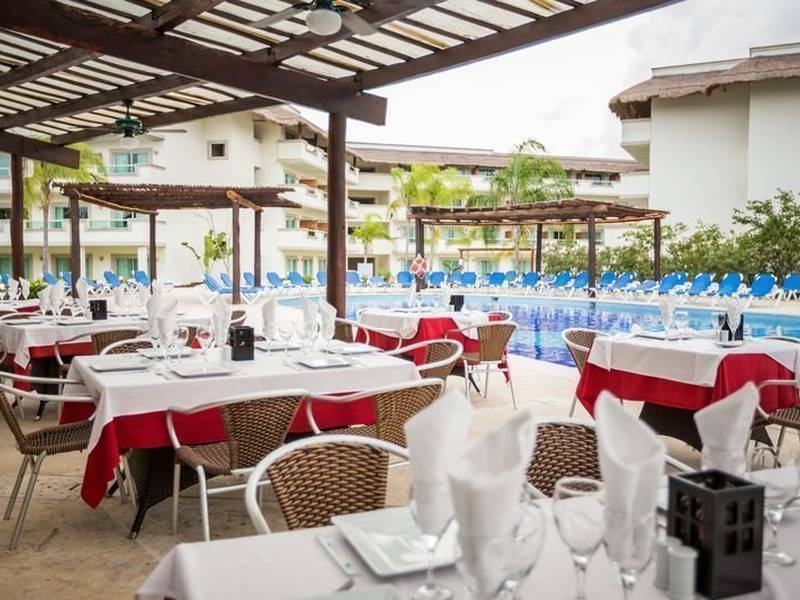 BlueBay Grand Esmeralda also has several restaurants and bars to enjoy world cuisine and a cocktail whilst watching the sun go down. 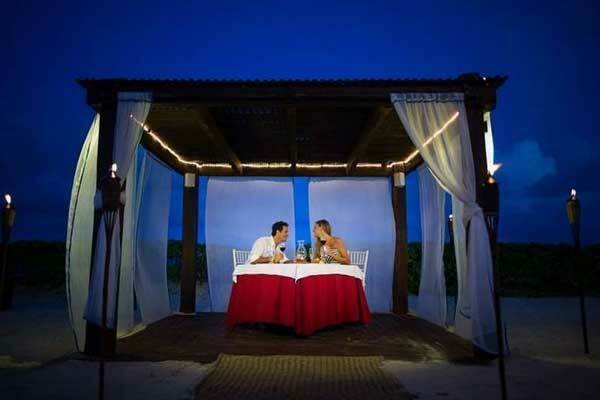 The highly trained chefs at BlueBay Grand Esmeralda serve some of the finest French, Italian, Mexican & oriental food. Breakfast is served from 7am to 11am, lunch is from 12pm to 3:30pm and dinner is available from 6pm to 10pm. Snacks and drinks are available throughout the day and the Sports Bar is open around the clock. 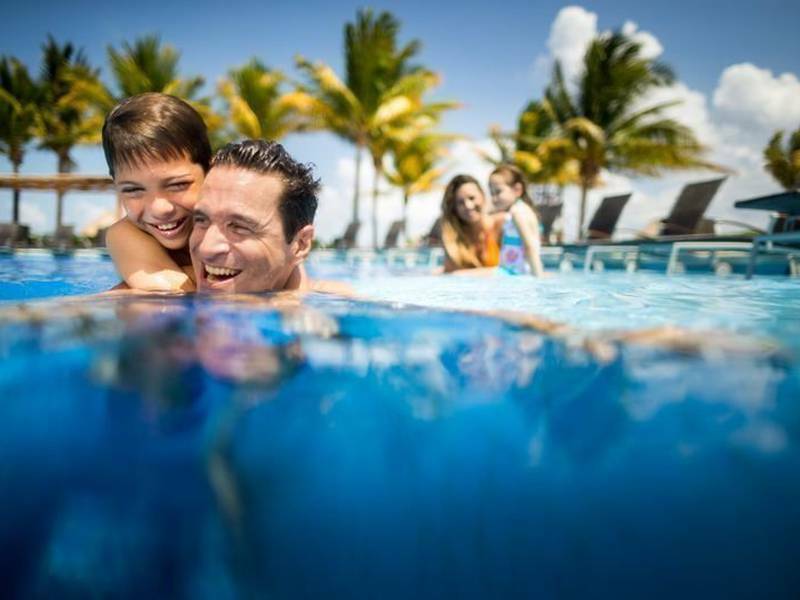 There are three swimming pools at BlueBay Grand Esmeralda with separate children’s areas that can be used by all of our guests alongside the spa facilities, tennis courts, golf course and fully equipped gym. 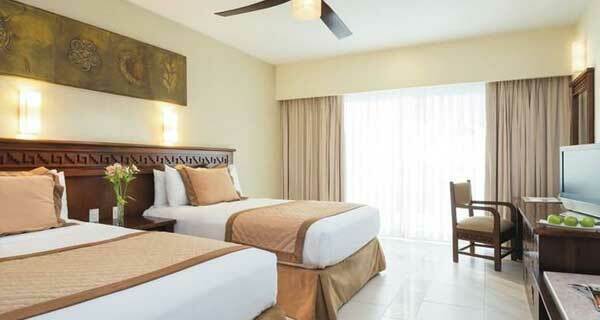 Additional services include 24hr healthcare facilities, car hire, childcare, laundry and room service. 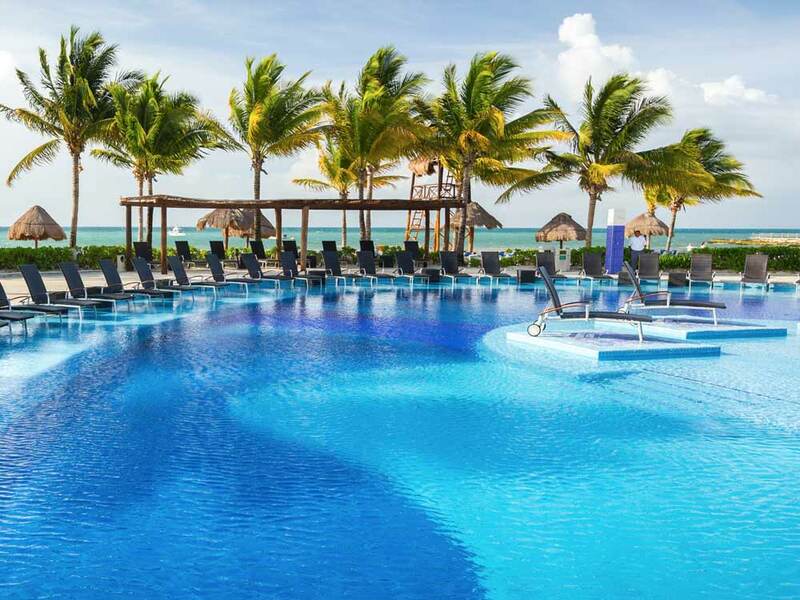 You don’t have to take our word for it, the BlueBay Grand Esmeralda***** was rated the best allinclusive hotel in the Riviera Maya by Expedia in 2010. 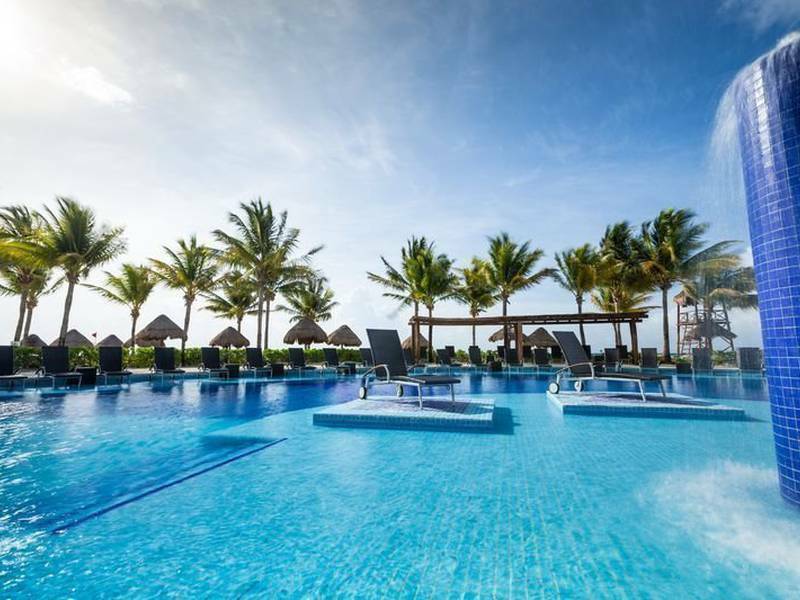 This goes along with the countless other awards we have received for our customer service, commitment to ecology & the environment, and our facilities; the Hotel BlueBay Grand Esmeralda ***** is the perfect choice for your holiday in Mexico. 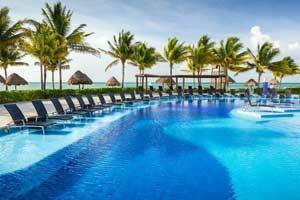 The most modern and advanced facilities benefiting from a luxurious, modern environment. 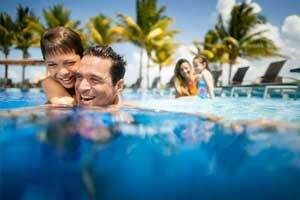 Both hotel guests and visitors will have the opportunity to relax and enjoy the many benefits of the water. The range offers a wide selection of services such as: hydrotherapy, facials, body treatments, therapies, packages and treatments, all designed to meet each and every one of your needs and above all to provide you with the results that you expect and deserve. 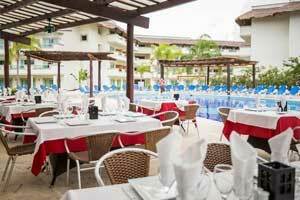 Each service includes a broad explanation guided by professional therapists, to attain absolute well-being of the body, mind and spirit, where attention to detail and high quality of service are just some of the resorts priorities. Enjoy the thermal bath circuit Labyrinth of Sensations, consisting of footbath, active pool, vapor, sauna, Scottish shower, plunge pool, thermal pool and relaxation area. 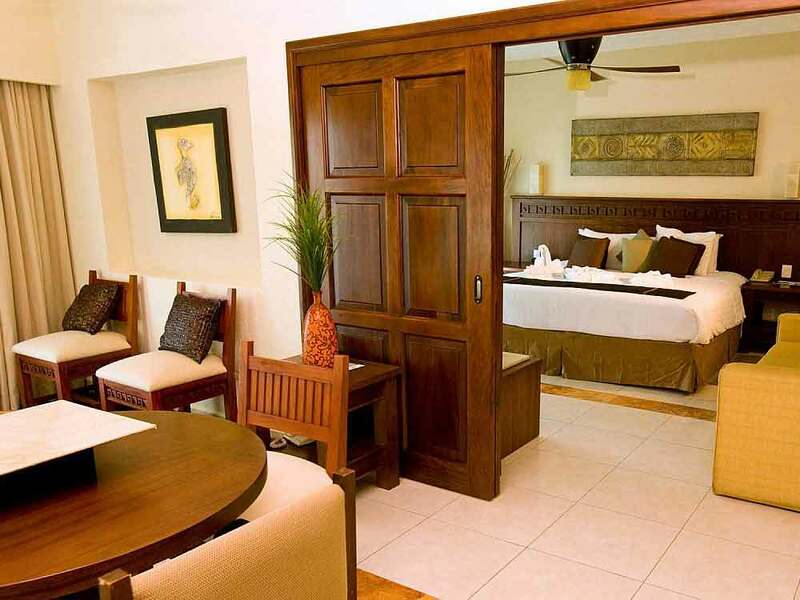 BlueBay Grand Esmeralda offers 979 deluxe air-conditioned rooms and suites, spacious and handsomely decorated with an elegant hint of the old Mayan village with colorful tropical details, spread out in 8 2 and 3 story buildings.